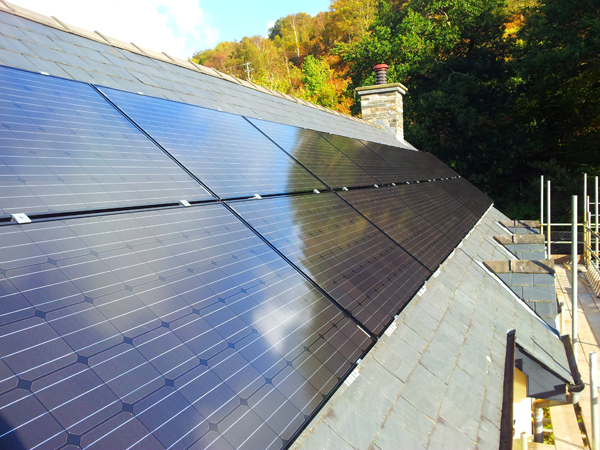 Over the past few years in the UK there have been solar installers offering customers free solar pv systems. At first sight this looks like a great deal but on closer investigation the installation companies are making £1000s from peoples roofs. The solar companies offering free solar panel systems did so by taking any income from the feed-in tariffs for themselves and 'renting' the roof from homeowners or commercial building for an agreed number of years. The homeowners and businesses got free electricity during the day from the solar panels and the free solar panel installation company got all of the income from the feed-in tariffs. Sometimes the homeowners or businesses did not get the free electricity but a guarenteed low rate of electricity for a long period of time. Because of the current levels the feed-in tariffs there are no longer any companies offering free solar panels for customers. There were some drawbacks to installing free solar panels including reports of difficulties selling houses because of the fact the properties roof was effectively in the middle of a rental contract with a private company! Other reports include there being issues with becoming liable for loss of earning if the system does not perform properly for example because of shading caused by trees growing in your garden. Which? magazine have writen an interesting article about free solar panels here. Reduces flexibility in future - what if you wanted to build an extension or have a loft conversion? It is worth noting that 'Paid for' solar is still a good deal for homeowners and businesses. This is because it is still possible to make significant savings if you can self-consume a decent proportion of the solar energy you are generating. These savings combined with the income from the feed-in tariffs add up to a significanct financial benefit every year. Of course if electricity prices rise in future years the financial benefit will only improve. If you based in or near Oxford and are interested in finding out more about the benefits of installing solar panels on your property please get in touch with us today.